It’s National Espresso Day! 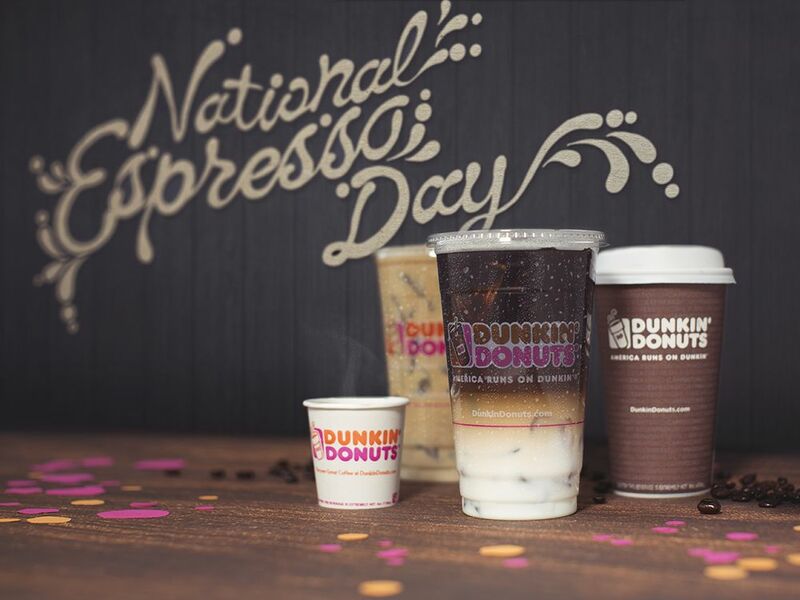 We are celebrating at Dunkin’ by offering our guests any medium espresso beverage for $1.99. 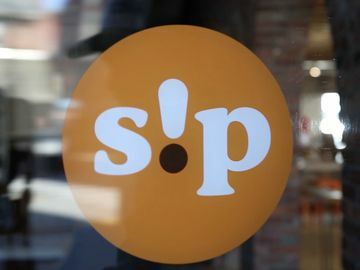 In celebration of this special day, we also sat down for a Q&A with Jim Cleaves, Manager of Coffee Excellence at Dunkin’, and an expert in all things coffee and espresso. So Jim, tell us about the history of espresso at Dunkin’. 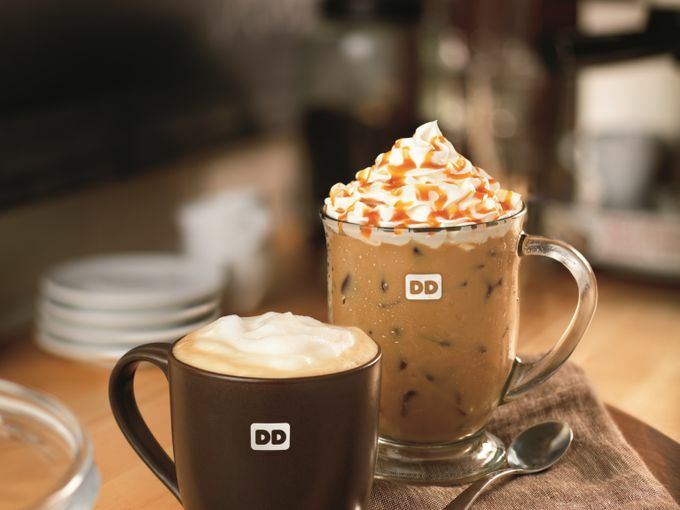 Dunkin’ introduced espresso in 2003 to give our guests another way to keep them energized throughout the day. We have continued to extend and innovate our espresso lineup, most recently adding the Macchiato. 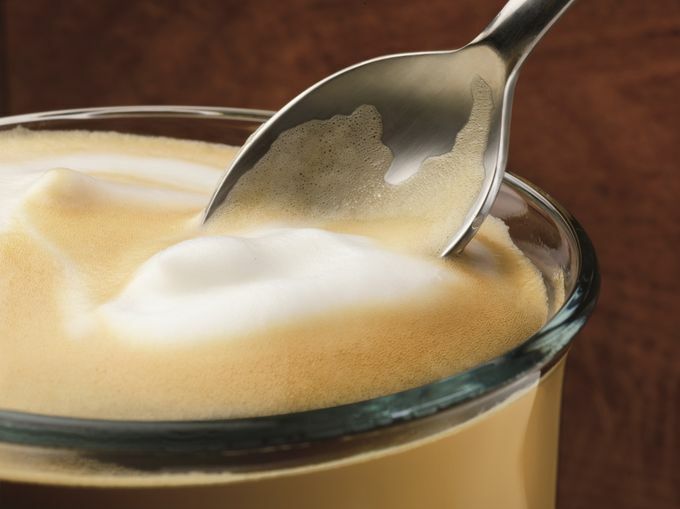 Available hot or iced, the Macchiato is a handcrafted, layered espresso beverage featuring steamed milk, topped with a double shot of espresso finished with a layer of milk foam. How is espresso different than coffee brewed in a drip style brewer, like the ones in DD restaurants? Espresso has a unique brewing process. Our espresso is made from 100% Rainforest Alliance certified, high-quality Arabica beans, which are freshly ground moments before the beverage is brewed. Hot water is then forced through the finely ground espresso beans under high pressure, delivering a rich, bold flavor. 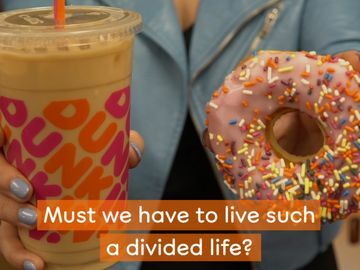 How can I order my espresso at Dunkin’? We have a robust lineup of espresso beverages here at Dunkin’. You can get your espresso fix in a hot or iced Latte, Macchiato or Cappuccino, a shot of espresso, or by adding a Turbo Shot® of espresso to your coffee or hot chocolate. 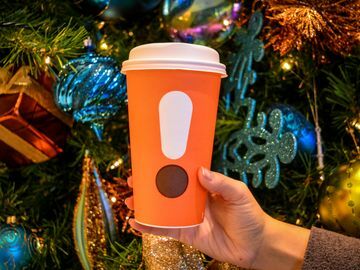 Guests can add flavors as well, including classics like Mocha and French Vanilla, as well as Holiday favorites like Crème Brulée, Peppermint Mocha and Salted Caramel. If you are not sure of the differences between Lattes, Macchiato, and Cappuccinos, check out my previous post describing them here. Which espresso drink is your favorite? My go-to is a simple shot of espresso, but right now I am also enjoying the Peppermint Mocha Latte. 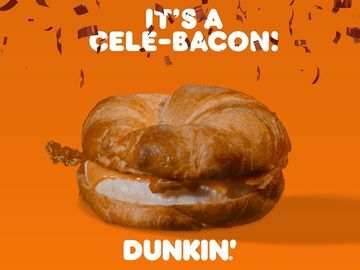 It’s a returning holiday favorite here at Dunkin’. The cool peppermint flavor with rich chocolate makes for a perfect combination in my morning latte. Which espresso drink is YOUR favorite? Let us know on Facebook, Twitter and Instagram this #NationalEspressoDay. 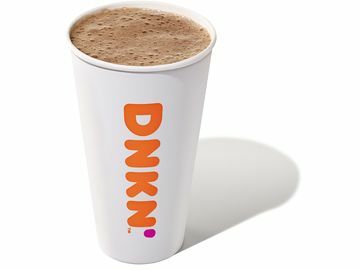 And be sure to stop by Dunkin’ for your $1.99 medium espresso beverage!